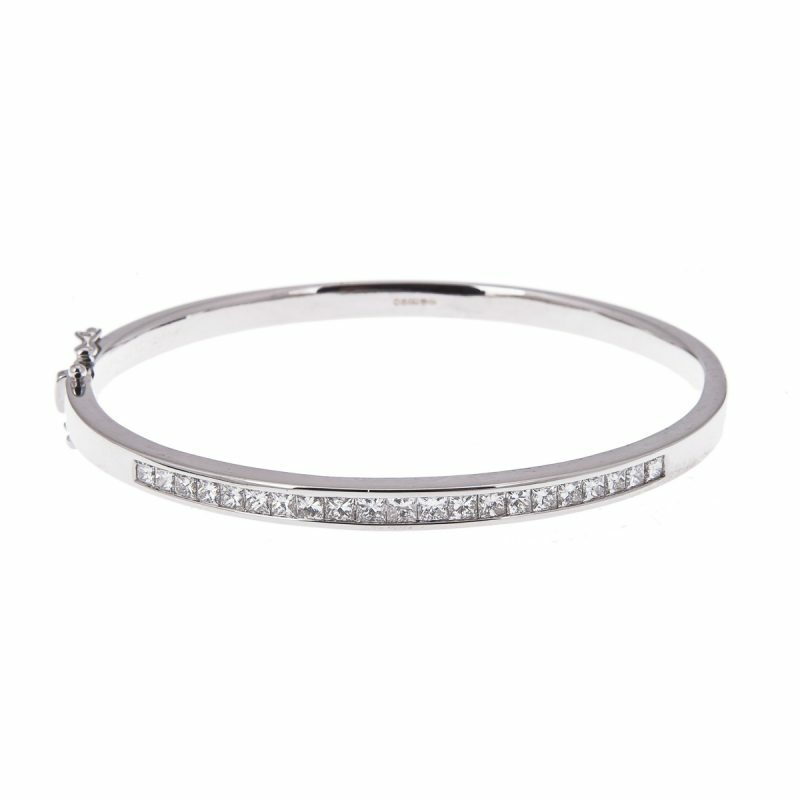 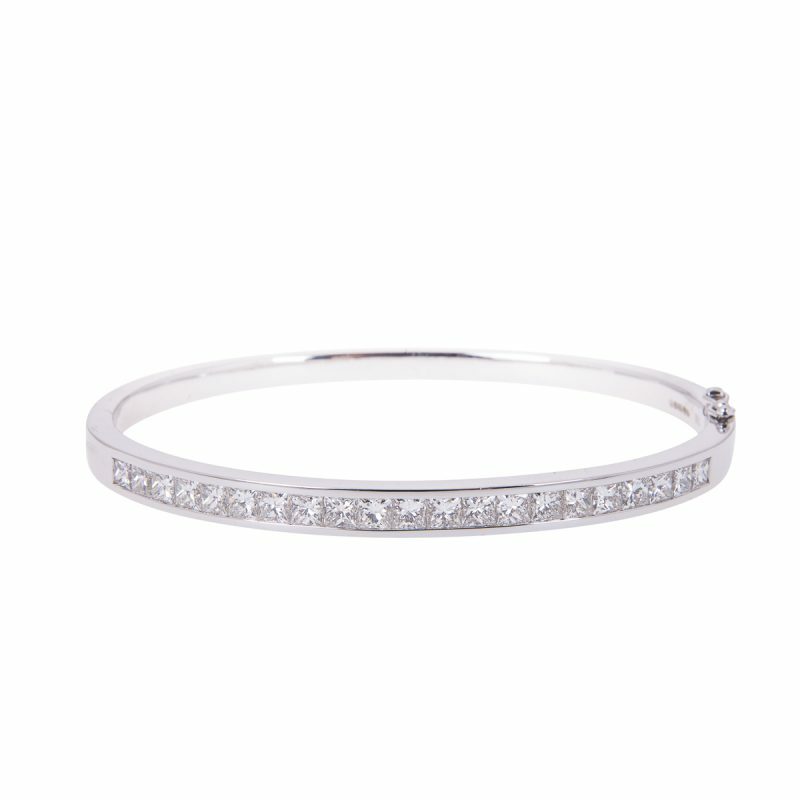 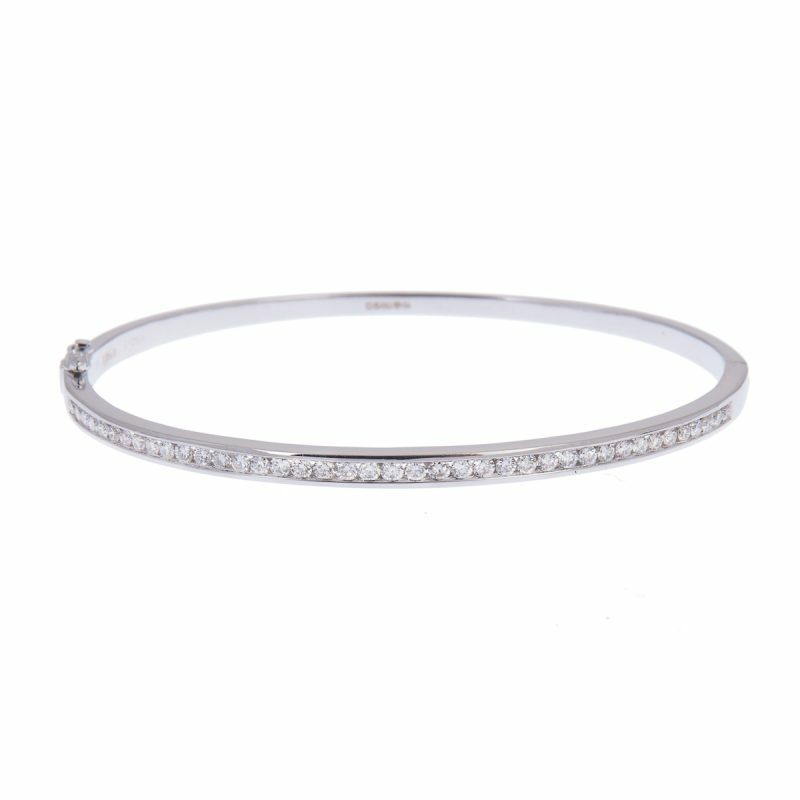 Proclaim your confident style with this striking 18ct white gold princess cut diamond bangle. 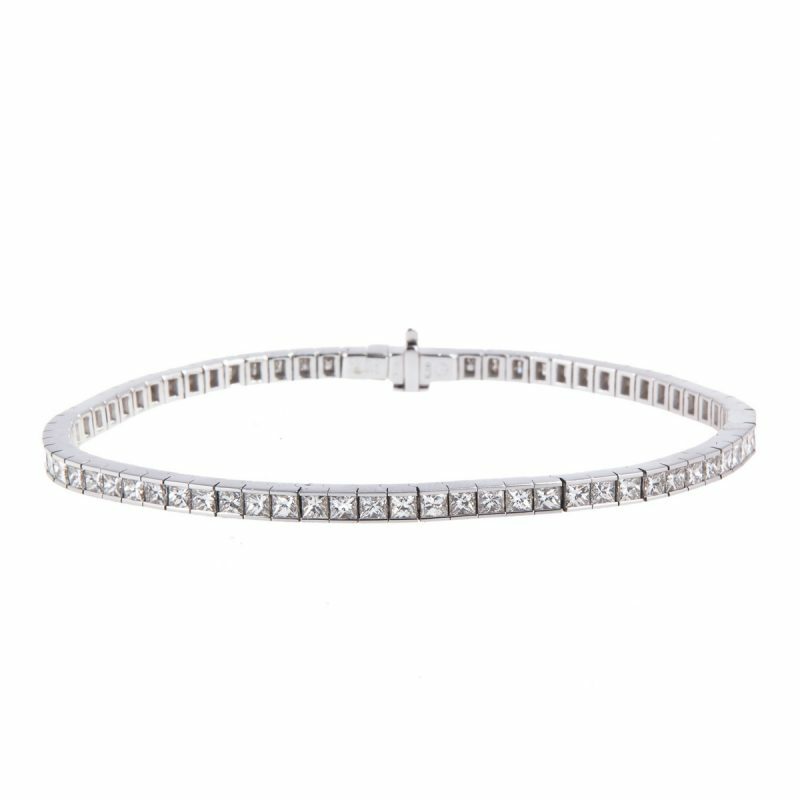 Set with a single row of perfectly matched, princess cut diamonds, giving a glittering, continuous line of diamonds that are securely held in a channel setting. 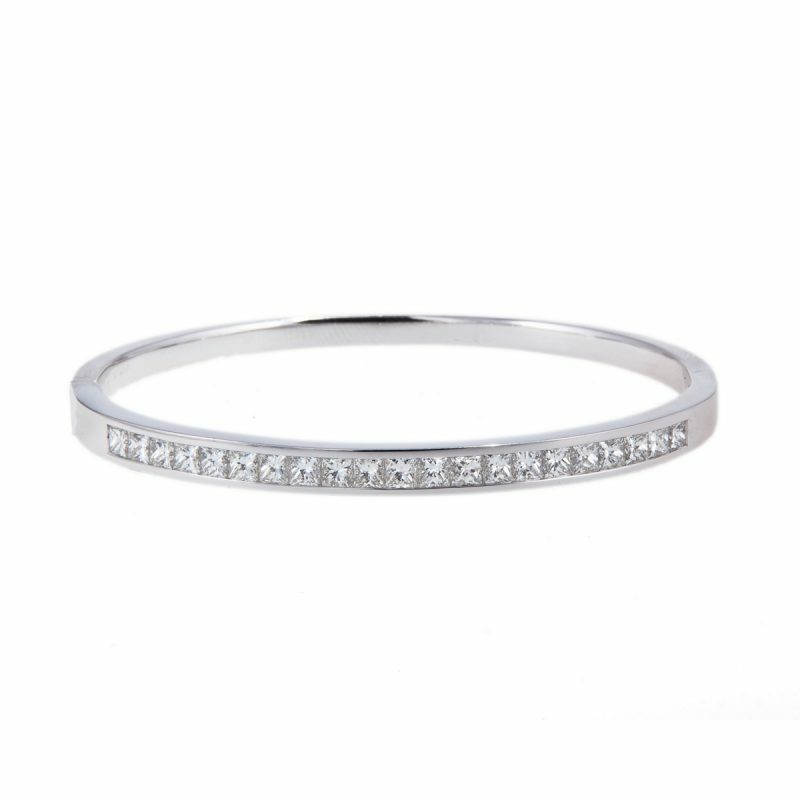 Making this a very beautiful bangle that is perfect for any occasion.